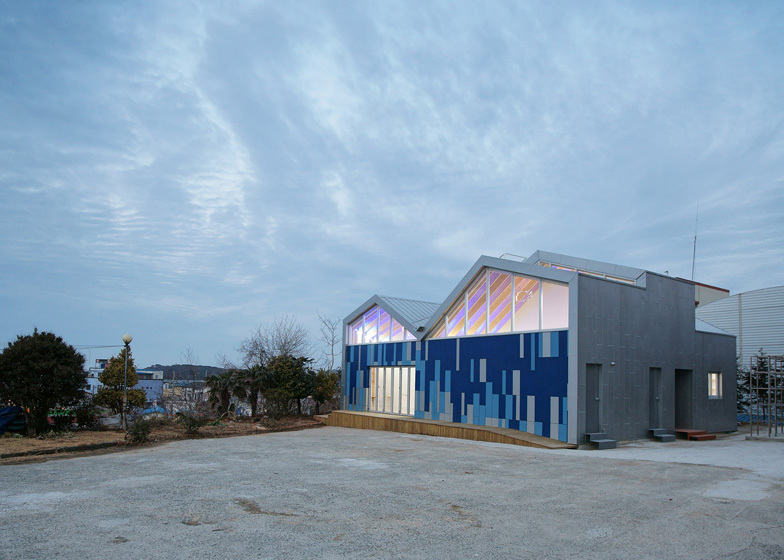 A playground slide is tucked into the rooftop folds of this children's centre in a coastal South Korean village by Seoul studio JYA-rchitects (+ slideshow). The Gangjin Children's Centre in Maryang was designed as a replacement for another centre that was destroyed during a hurricane in 2012. 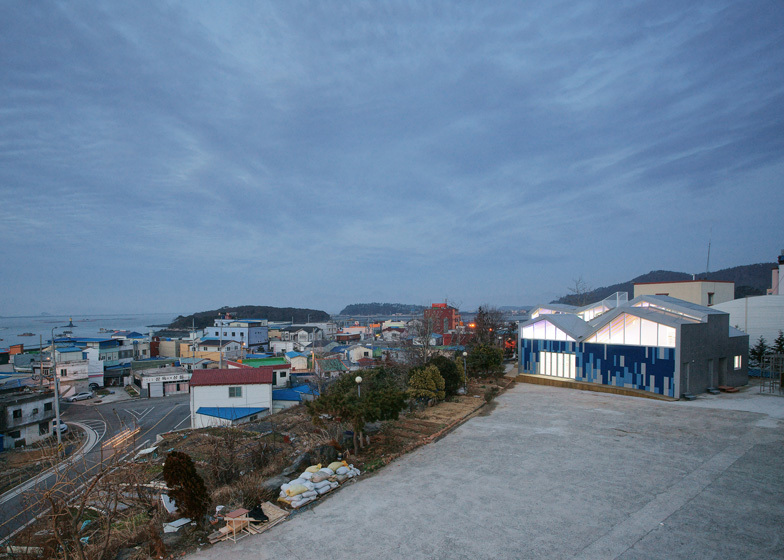 With the help of national television and radio station SBS and charity organisation Childfund Korea, the town was able to raise enough money to construct a new building in under a year. 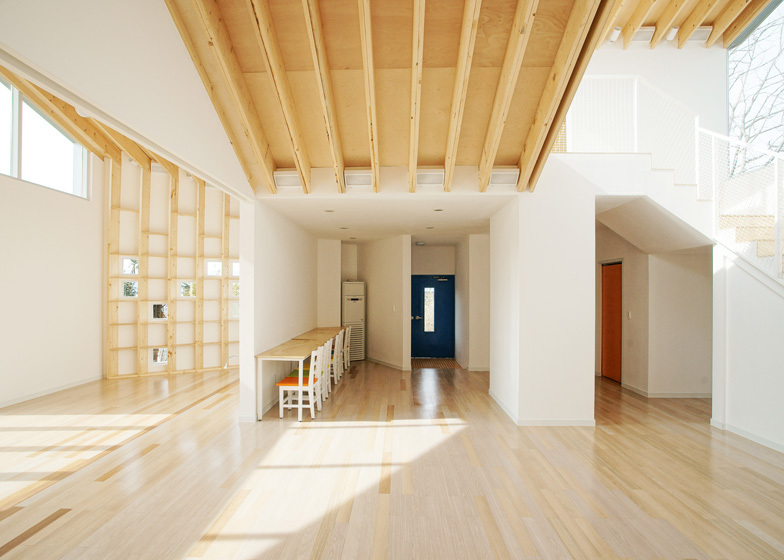 JYA-rchitects used sketches made by local children - most of which showed house-shaped buildings - to form the basis for the design. In response, the architects designed the two-storey centre with a zigzagging sequence of gabled roof profiles, then added a rooftop terrace and slide. "We wanted to find unexpected interesting spaces and scenes being created in the process of design development," explained architect Youmin Won. On the ground floor are a series of multi-purpose activity spaces, which can be partitioned with white curtains. 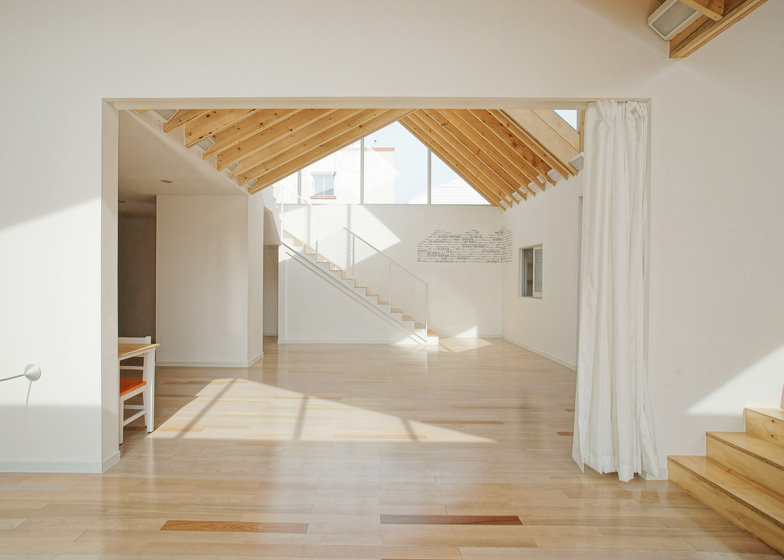 One room features wooden bleacher seating that helps to create a makeshift performance area, as well as a row of glazed doors that open out to a playground. A staircase climbs up beside the bleachers towards a study room on the first floor, while another set of stairs on the opposite side of the building leads up to a second study area beside the roof terrace. As the building looks out towards the harbour, the architect added a few references to the sea in the design. An assortment of blue cladding panels cover the facade, plus fish-shaped objects hang from the exposed wooden ceiling rafters. A slide also features in another children's centre to complete in the last year: the Centro Infantil del Mercado in Spain. Other buildings containing slides include a house in Indonesia, an office in Japan and an airport in the Netherlands. See more slides on Dezeen. Photography is by Hwang Hyochel, apart from where otherwise indicated. 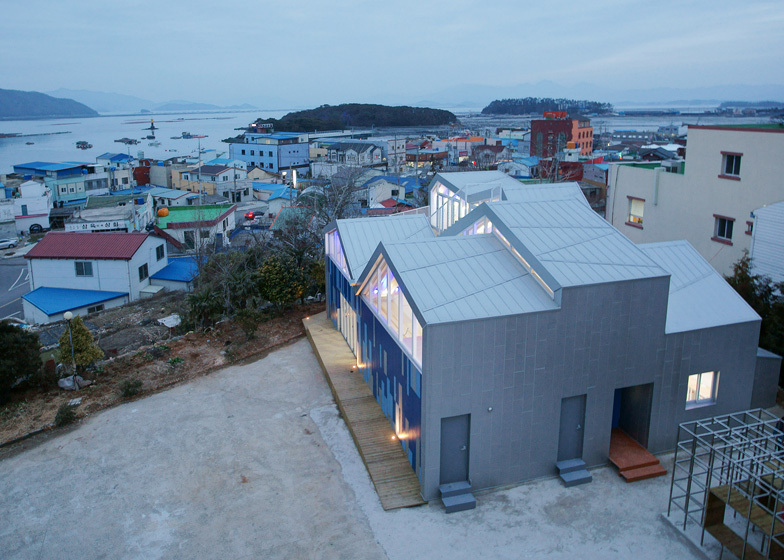 Sannaedeul Children's Centre was the most precious place for children from low-income families in Maryang, a small seaside village located at the far southeast end of the Korean peninsula. It was the only playground, learning arena and shelter for the children. The centre acted as another home and community in which they shared and grew hopeful dreams with one another. However, the dreams seemed to have ended when a devastating hurricane hit the village last summer of 2012. The centre was totally destroyed and left with nothing. Only to find the rubble of the building, the children still came to the site everyday after school and played on the ruins of what once was another home of theirs. Fortunately, the news was heard by Korea's major broadcast "SBS" and "Childfund Korea" who agreed to sponsor and launched the project of rebuilding the centre. Many other public and private companies also joined the project, giving a momentum to build the children's dream again. The clue for design was found among the pictures of a new centre drawn by the children themselves. The strategy had to be clear. 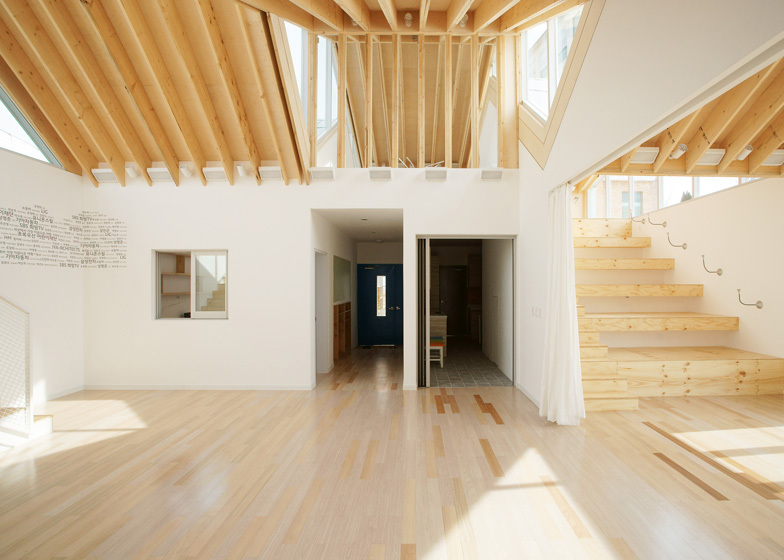 It was to create various and plentiful spaces by repeating and transforming a simple "house-shaped" space suggested in the children's drawings. Necessary programs were to be embedded into that volume. Then, they had to be connected with and divided by one another by the needs as well. As a result, the centre could have a dynamic-shaped roof by the aforementioned repeated and transformed house shapes. 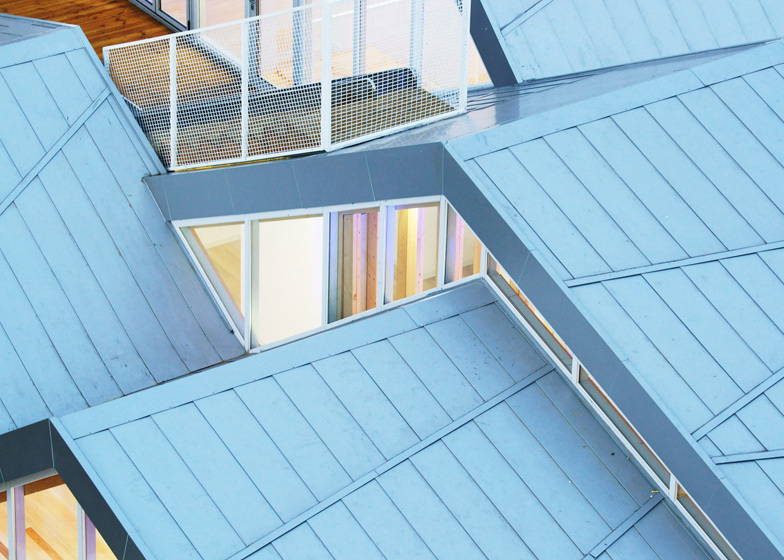 The roof shape has created a plentiful inner space and diverse expressions of exterior at the same time. 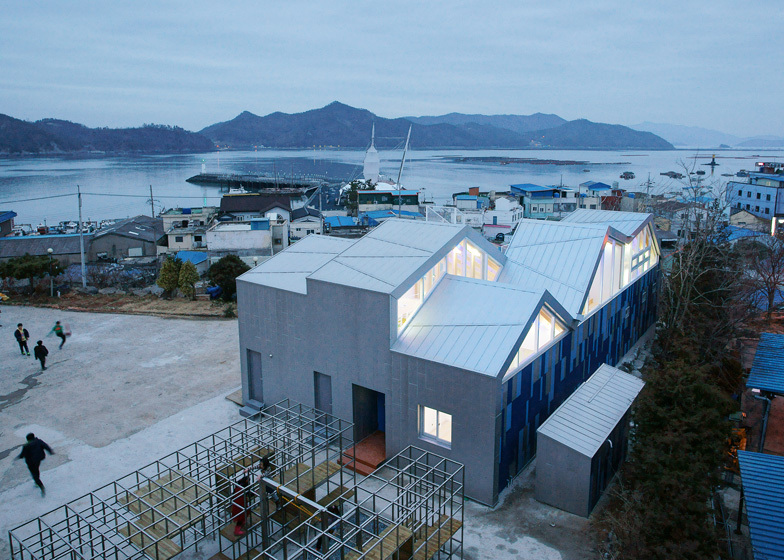 The overlapped roof has also brought up the image of the sea waves to the children of Maryang, the fishing village. 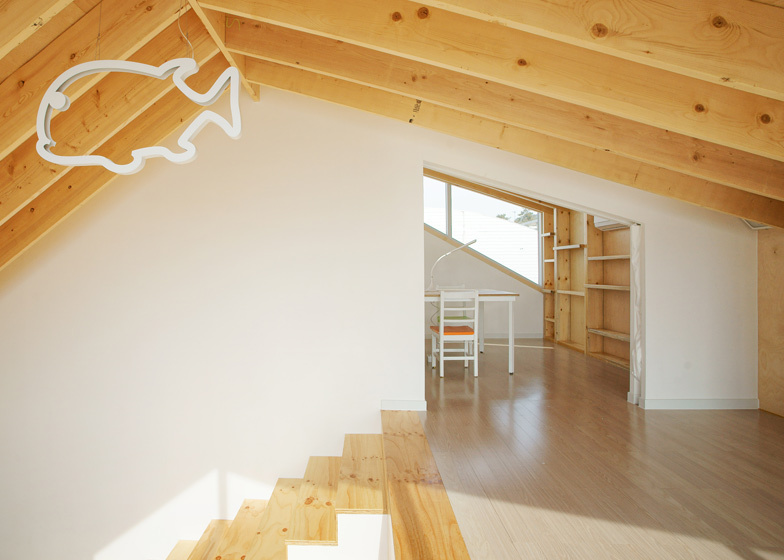 To further stimulate children's imagination, we also installed fish-shaped instruments and blue lightings under the ceiling, giving the image of swimming fish. 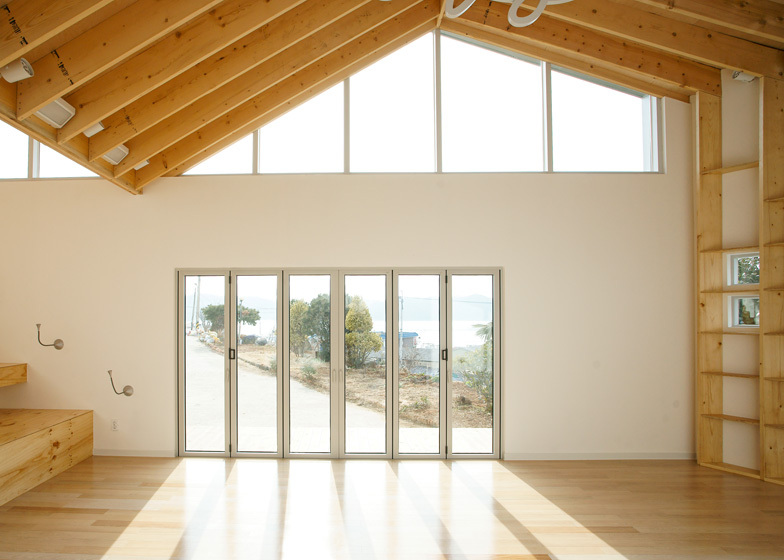 The center was aimed to have bright and warm interiors by getting enough natural lighting of the seaside through wide windows. The multi-purpose hall of a ground floor was extended to open outdoor space. 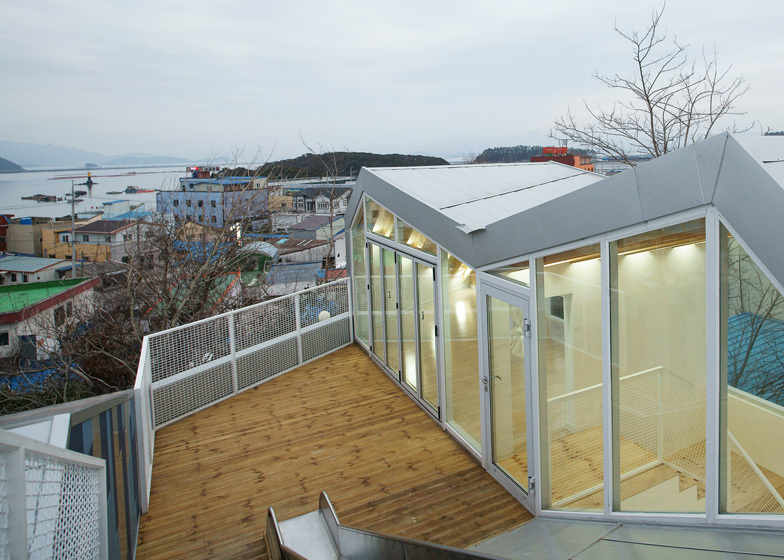 And the study room on the second floor was connected to a terrace with a slide on which the children can play, looking over the most beautiful seaside view of the world. We hoped that there is no border between inside and outside space as well as playing and studying for children in the centre.